In Prison, But Not “In Custody”??? We advise our clients not to say anything to police officers if they are pulled over, or are taken into custody. Even seemingly innocuous answers to carefully crafted questions like “Do you know how fast you were going?” or “Are you dealing with some sort of emergency?” can be used to clinch a conviction in what may otherwise been a weak case against a person. This is because when one is being pulled over, he is not being “custodially interrogated,” and therefore the officer does not have to advise someone of their right to remain silent before making incriminating statements. The famous Miranda decision allows a defendant to supress his or her own incriminating statements, so that they cannot be used at trial if they were elicited during a “custodial interrogation” without a valid waiver of the Miranda right to remain silent and right to counsel. The background to this rule was discussed earlier in this post. 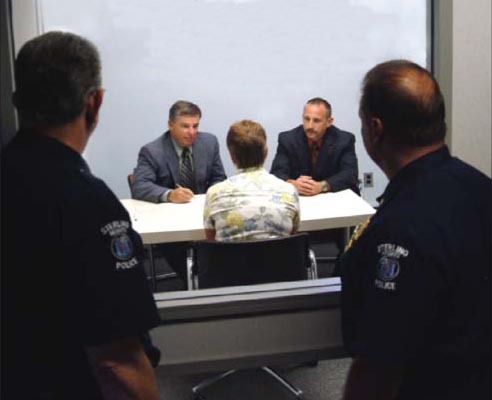 In order to exclude one’s incriminating statements from evidence, the statements have to have been made without a valid Miranda waiver in the context of police “custody,” and while under “interrogation.” And while the meanings of those two words may seem self evident, they have developed very specific meanings in the Miranda context. The recent Second Circuit Court of Appeals decision in Georgison v. Donelli, reported in this past Thursday’s edition of the New York Law Journal, is a good illustration of how particularly the term “custody” is defined. While incarcerated at the Riverview Correctional Facility in 1996, New York City police officers were questioning Mr. Georgison regarding the 1993 pipe beating of a truck driver in the Bronx, a matter unrelated to his incarceration. During the conversation, he made some incriminating statements. After making those statements, he indicated that he did not want to talk anymore and walked away. At trial, those statements were then used against him at a trail relating to that beating. He appealed the judge’s decision to admit his statements into evidence, arguing that he was being sbjected to “custodial interrogation” without Miranda warnings, or a waiver of those rights, at the time the statements were made. Thus, one should consult a competent criminal defense attorney, such as those at The Law Office of Elliot Schlissel, before saying anything to police officers, whether it is in the context of a simple traffic stop, one whether one is already incarcerated. You can contact our office, 24/7, at 800-344-6431 or by e-mail for help or more information.